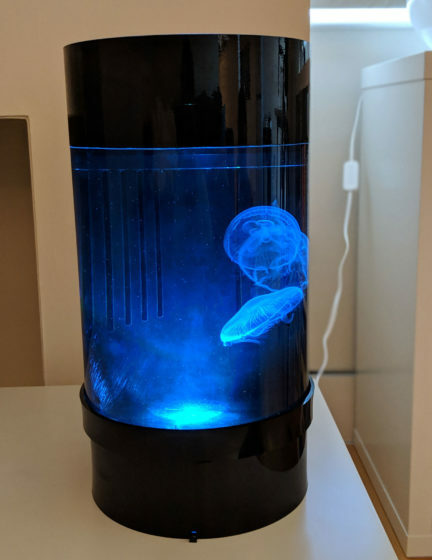 Items marked as recommended we suggest to purchase to keep your jellyfish ownership as simple as possible. 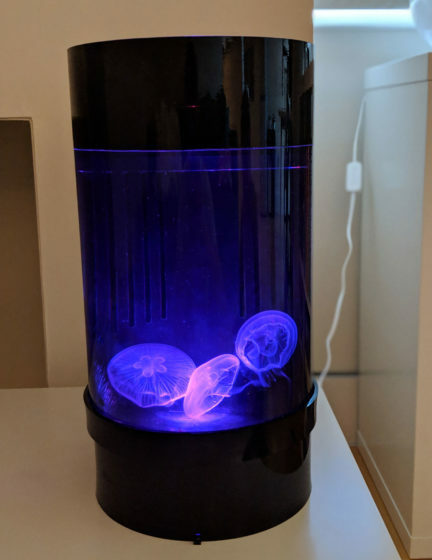 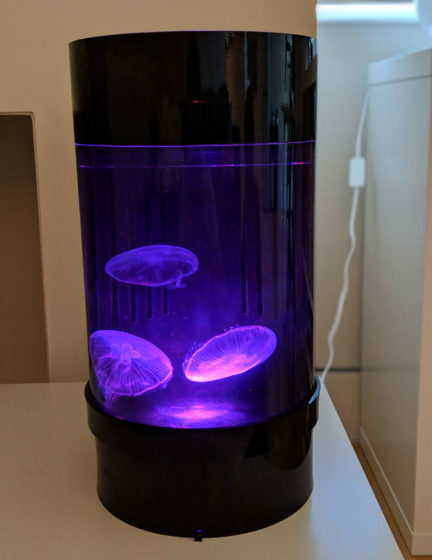 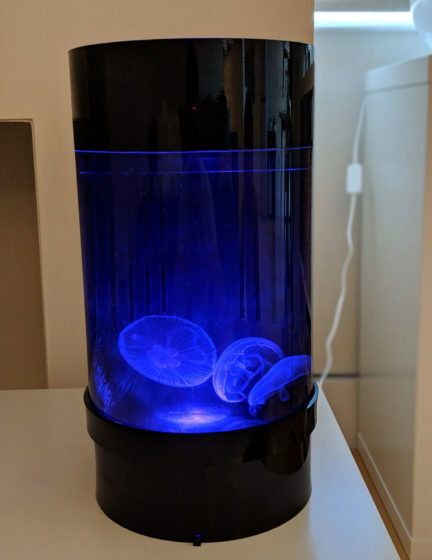 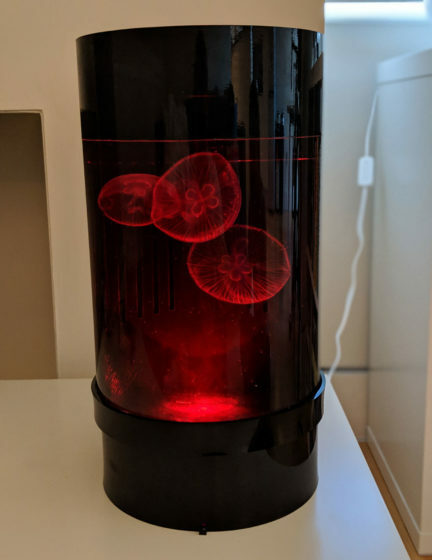 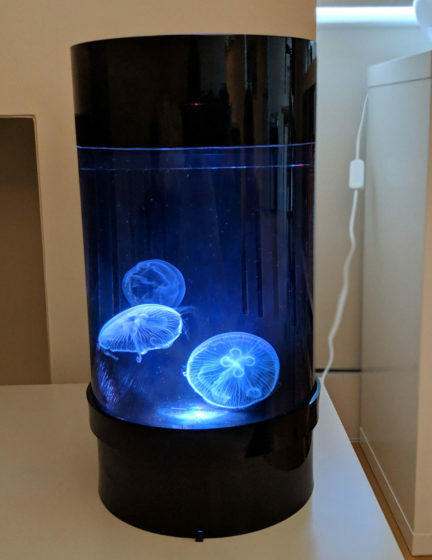 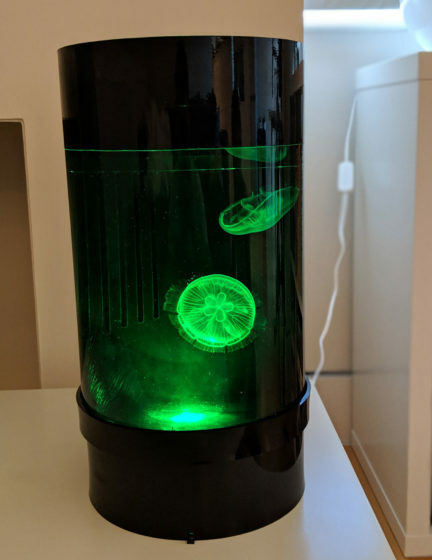 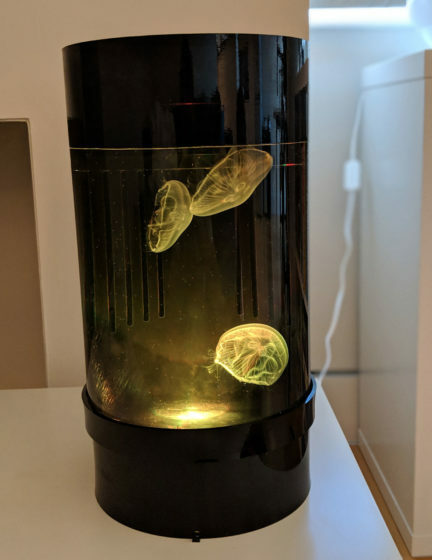 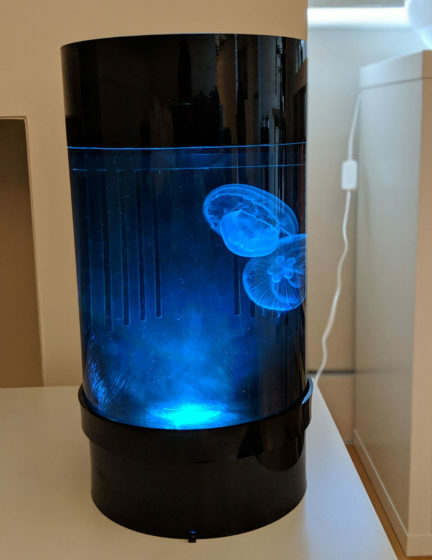 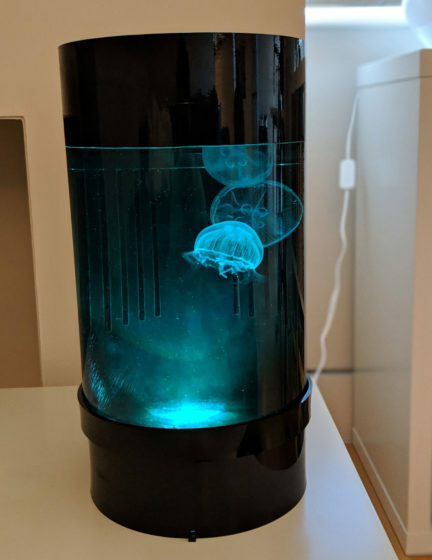 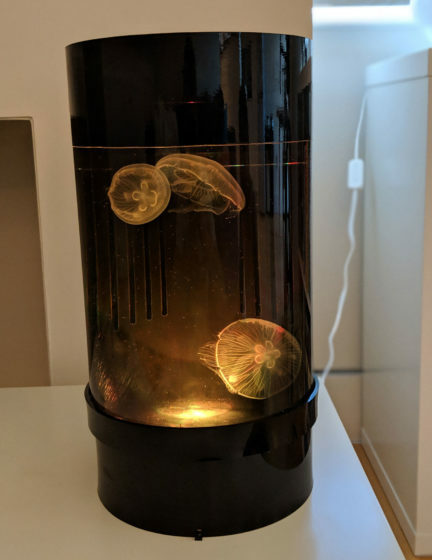 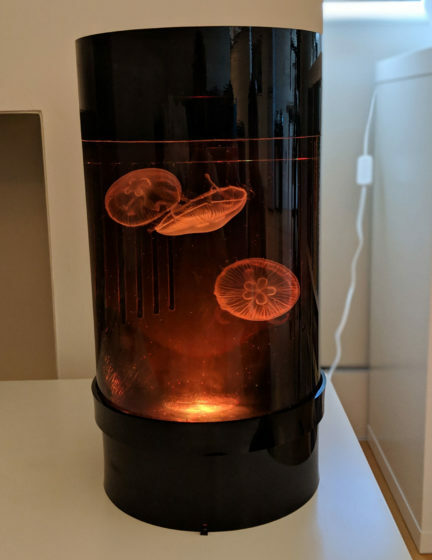 The Jellyfish Art Cylinder Nano “2 Jellyfish Starter Kit” is the perfect kit for those looking to get started with keeping jellyfish! It also includes 2x Moon Jellyfish, and a pack of Instant Brine Shrimp, which should be enough food to last 1-2 months. 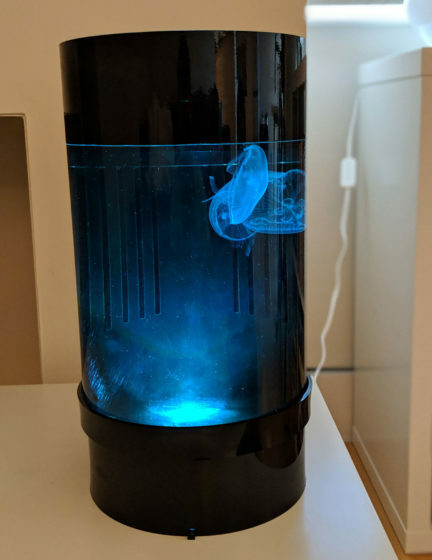 Finally we also include a bottle of JellyBio Maintain, which keeps your water full of that nitrifying bacteria goodness for when you’re doing your weekly water changes.